Tour with a small group, because the smaller the group, the bigger the experience! As exciting as an encounter with Santa Claus may be, Father Christmas is just one of the many reasons to come to the Arctic Circle. 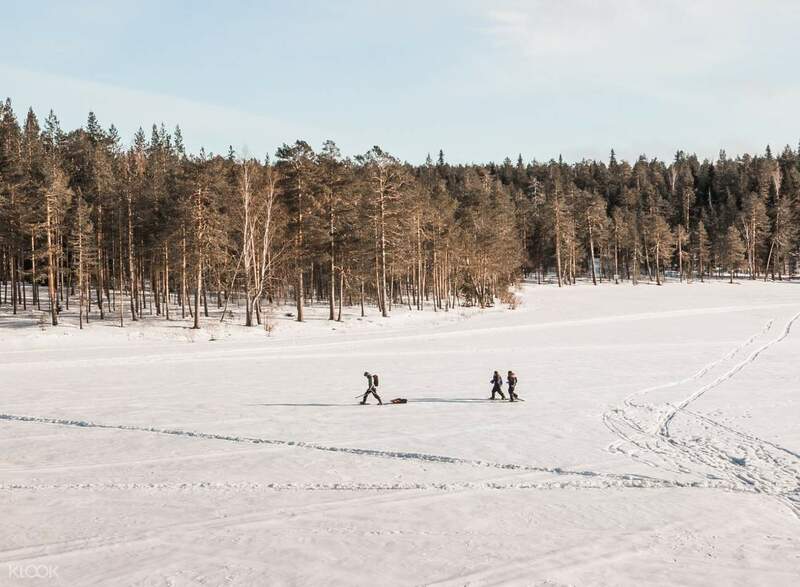 This winter wonderland also offers opportunities to go snowmobiling, Northern Lights hunting, husky sledding, and in this particular tour, walking on frozen river and finding a perfect spot for ice fishing! 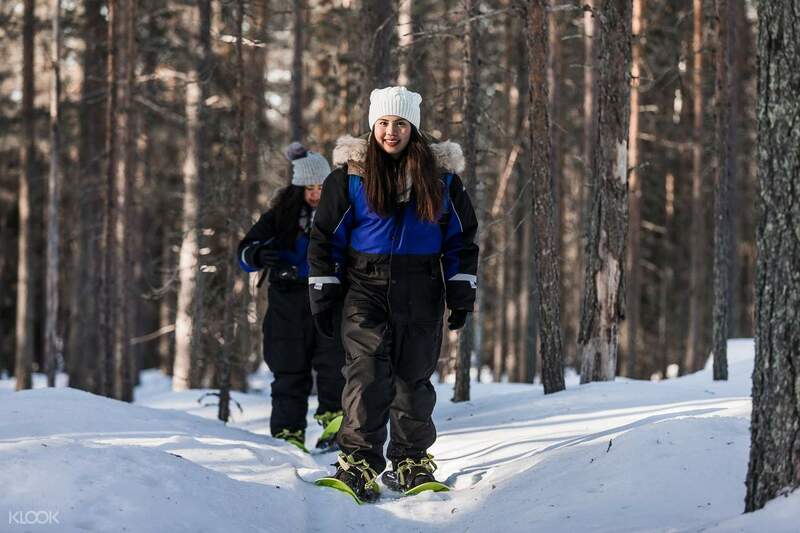 On your snowshoes, you'll follow groomed trails through the dense forest and try your hand at the ancient art of ice fishing. You'll cut a hole in the ice and wait for a bite, as your professional guide teaches you local hunting techniques. In this tour, you'll only be touring with 1 or 7 more travelers—because at the Arctic Circle, the smaller the group, the bigger the experience. 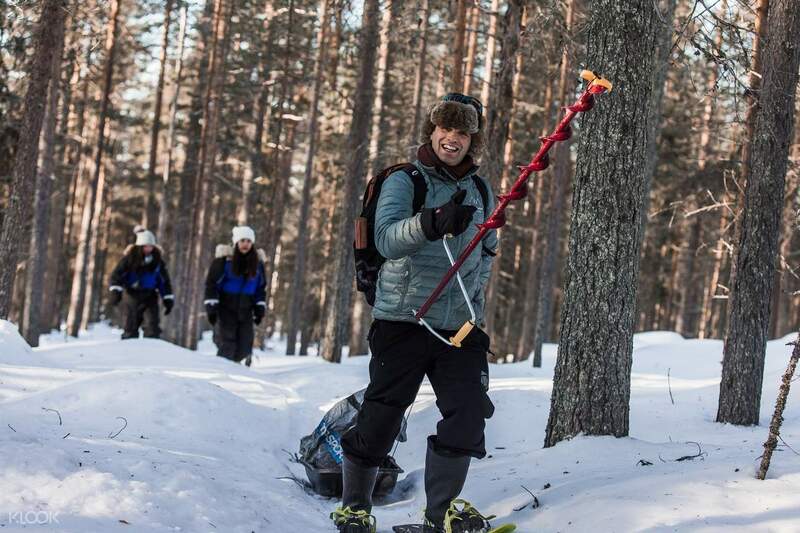 This tour combines two great activities that everyone should try at least once: snowshoeing and ice fishing! Learn how to properly handle the ice fishing tools, and catch a big one!